I use a microwave for a lot of things so when it came time to get a new one after our other one blew up I shopped around for awhile. I didn't want to spend tons of money but I wanted quality. This microwave was just that. I seem to find I like my microwave a lot better than other ones I use. This little baby is powerful. Once I figured out the right settings, the right power level, things turned out a lot better. I really like the design of this microwave, it is small and convent to put on the countertop. It is very easy to clean, both inside and out. I like that the turn table is removeable. Trying to clean one that doesn't remove is a pain. Hot soapy water does the trick. The settings on this microwave are really nice. I use the speed defrost often. The popcorn setting usually works great with no burning. Sometimes I think it depends on what brand of popcorn. One thing that I don't like about this microwave is on the start button there is a plus one minute button too. If you push start twice it takes whatever number you put in and adds a minute. No good, be careful on how hard you push the start button. 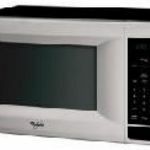 Overall I enjoy this microwave and would recommend this microwave to others. Cooks food fast, in less time than other microwaves I've owned. It is also very easy to use and has quick start options for both one minute and 30 seconds which have been really helpful! The color is different and goes better in my kitchen than a simple white or black and adds a pop that I did not expect. Would recommend this product! Performance Great performance. Much faster cooking time than I expected which cuts my wait time in half! It used to take my other 900 watt microwave at least a minute to heat up a cup of tea, with this one, the time is cut by 15 seconds which is huge when considering items that take longer to heat up! Ease of Cleaning Very easy to clean. Just take the plate off! Ease of Use The buttons are easy to press and straight-forward. Durability The microwave felt a little flimsy when I took it out of the box, much lighter than other microwaves, but it is durable enough. Don't need much to just sit on the counter. I received this Emerson Microwave in red for my house warming gift from my Aunt. 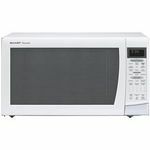 I was so excited to get it since I had researched microwaves and this one was the one I picked to put on my registry. I really liked this microwave until about 8 months after having it it started going off in the middle of microwaving something. Until finally it just went out all together. I was very disappointed when it just stopped working. I was surprised to because it had worked so well before. It just seemed to have a short life span. I've never had a microwave go out after just 8 months of usage. I had to go out and purchase another microwave and i didn't want the same brand, so I purchased something else. Performance This Emerson Microwave performed great when it was working. It cooked or warmed food thoroughly. I was satisfied with the way my food came out. Settings/Features This microwave was really easy to work and set up. Ease of Cleaning I never had trouble cleaning this microwave. It cleaned really easy. Durability This microwave was not very durable. It only lasted me 8 months and then it pooped out and stopped working. Design I loved the red design of this microwave. It was the main reason I picked it. Like most people I bought it because of it's size and the color. I always had bigger microwaves with more wattage so I had to learn to adjust a bit. The controls are a bit tricky to figure out but reading the manual will always help. It's a bit on the loud side compared to my previous microwaves. It's super simple to clean. The pros for this microwave are. 1. It's compact size makes it not a counter top hog like some microwaves. 2. It's a nicely designed product. 3. I would give it a decent mark on its power. Did what a 900 watt microwave will do. I make candies in my microwave and had to adjust cooking time but was still able to make it work at the lower wattage. The cons are 1. Kind of on the loud side. 2. Confusing controls until you figure them out. 3. My door quit latching so I had to replace it because of that. I really figured it would have lasted longer than it did. When I went to buy a new one I had to step away and buy another brand because of the reasons I listed in the cons. Performance Had to replace because of the door latch not working. I bought this microwave years ago because I completely fell in love with the color. My kitchen had a red theme, and now it's a red wine theme which this actually goes with very well. It also perfectly matches my red toaster! So, of course I think the design is fabulous. As for function, I've never had an issue with it. It has multiple settings, its super easy to set the time after the power goes out, the screen is very easy to read, even in the dark. The inside spins to help cook things more evenly, if you stop it and start it up again then it spins the opposite direction which is a nice touch. It also works very well for defrosting. I use it to defrost meat, shrimp, fish, chicken all the time. Ease of Cleaning It's really easy to clean. Fortunately, the bottom glass spinner easily lifts out of the microwave so you can throw it in the dishwasher or just hand wash it in the sink. As for the rest of the microwave, I just spot clean it when needed with a Clorox wipe or by using a paper towel with a proper cleaner. Durability It's made it through multiple moves as well as being in a house with multiple rowdy boys and it is still in wonderful condition. We bought this microwave when we first got married and moved into our apartment. It worked fine. It was okay looking and we spent a resonable amount of money on it, (meaning it wasn't expensive but I wouldn't say it was cheap). One night, not even a year after purchasing this microwave (Emerson), I was heating something up while feeding my baby when we heard an explosion and smelled a terrible burning smell. I was scared and I called my husband into the room. He is not one to panic but he got that microwae out of our apartment VERY fast. It was scary. A microwave should not do that, specially after less than a year. We cleaned it properly and used it properly. There was nothing we did to provoke the incident. I've also read similar reviews on other websites. If you want a safe microwave that;'s going to last, I recommend that you really investigate the emerson microwave before purchasing it! 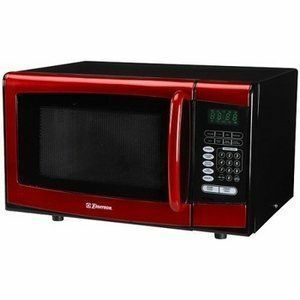 The Emerson 900 watt red microwave oven is a cheap buy for those looking to replace their old oven but don't have the budget to spend much money on the oven. Instead of pushing a button to open the door, you must manually open the door for this oven. The timing for items is a bit complicated at first, for cooking food items under 1 minute you must first press the power button then the time. The turntable is also a bit wobbly. The red color is a little too bright and somewhat unfortunate color choice, but if your like me and have a cinnamon Kitchen Aid mixer, it can work. 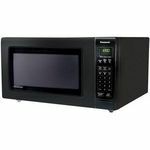 Overall the microwave does its job well, with a few drawbacks but its a nice price for consumers on the budget. Ideal microwave for a big kitchen! 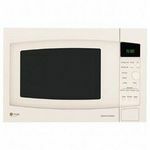 Overall this microwave is a good deal for the price. I am currently on my second one. The first one didn't quite last a year, however Emerson has great customer service and all I had to do was call them and let them know it stopped heating. They had me cut the power cord off it and mail it in to them and they immediately shipped me a brand new one. I have had this one for a little over a year and had no issues with it whatsoever. Always heats great and quickly. Just the right size for a small counter top or to sit on a bakers rack. Performance Performance is good unless like my first one it goes out quickly. The one I'm using now so far has been great at performance. Heats well and quickly. Settings/Features The settings and the features on this microwave are compatible with a larger more expensive microwave. It has a kitchen timer on it as well as defrost and different power settings. Ease of Cleaning Cleaning it is a breeze. I just put in a bowl of water and heat it 5 minutes and then just wipe it out and it is clean as new. No problem with this at all. Ease of Use Very easy to use, not complicated to figure out like some of the larger more expensive microwaves are. Just the right amount of features to be handy and not overly complicated. Durability Durability is good, it takes a lot of abuse with door slamming and opening from my teenage boys and has held up remarkably. Design I love the design, it is perfect for small places and limited counterspace and also I love the color option of red! Fits my kitchen decor perfectly!! I've had this microwave for about 1 year, I originally bought it because I needed a low cost microwave that would fit on my small kitchen counter top. I particularly liked the red design because it catches the eye. It's durable, I use and abuse it every day. It's easy to wipe down and it's easy to use. Performance It performs without issue, I've never had a problem with it. Settings/Features The settings are a little confusing at the beginning but once you tinker with it, it has a good deal of features. The preset heating settings are accurate they don't overheat. Ease of Cleaning Simple wipe with a cleaning solution and voila, easy. Ease of Use Fairly straight forward especially if you use the preset heating settings. Durability Takes a beating. Design Cute red design, compact for any space needed.